Welcome to another week of Post Comment Love - where your best (or favourite) post of the week gets the extra love it deserves. If you're a regular linker, welcome back, and if you're a newbie thanks for stopping by. Link up your post, grab our badge, and make some new friends! I can't quite believe we're in the second week in November already. I was chatting to the Hubby the last week and we were talking about Blogfest 2016, I told him it was in two weeks and he was confused. After checking I realised it was just a week away and then I panicked. "I'm not ready!" was my first thought, but after calming down a little I got excited. Tomorrow (!) I'll be travelling to London (again) and I get to see some of my favourite blogging buddies as well as say hi to people I've only ever spoken to online. Best of all though I get to chat (in real life!!) to Steph, my lovely co-host. This time around I'm a lot less worried and a lot more excited, I might even learn something... or more to the point I might implement the things I learn! I'm looking forward to saying hello to Aby from You Baby Me Mummy, her productivity course has really helped me over the last couple of months so I want to thank her. The boys are looking forward to Saturday too because it means they get to spend a whole day with their dad on their own. I'm sure they'll have a great time, and when I get back they'll probably ask me when I'm going again! If you'll be at Blogfest and you spot me do come over and say hi, especially if I seem to be wandering around alone. 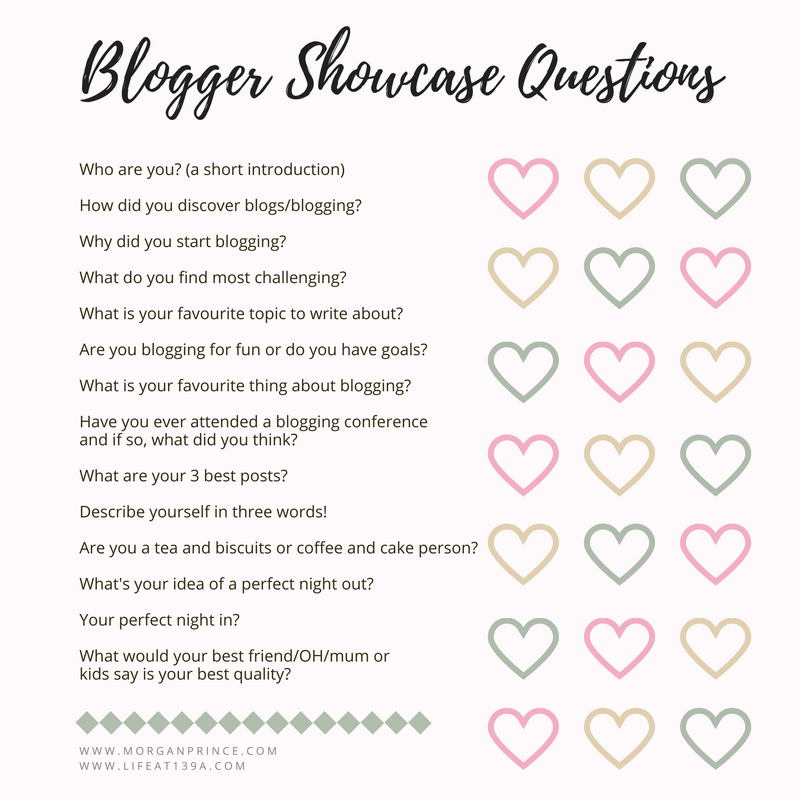 If you're not at Blogfest what have you got planned for the weekend? Okay so we don't have any bloggers for Blogger Showcase this week but I've been busy at work and hopefully we'll have some lined up for you soon. We'd love you to get involved so if the mood takes you simply answer the questions below and send them to me or Steph. 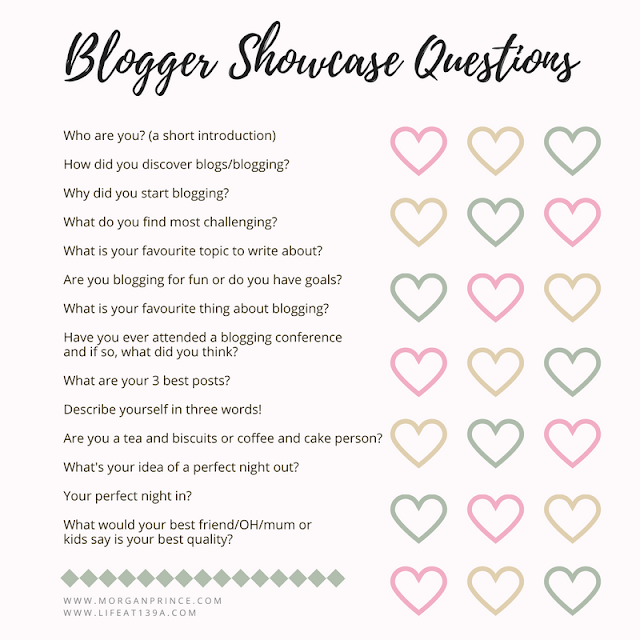 If you'd like to be featured in our Blogger Showcase send your answers to the questions above to PostCommentLove@gmail.com. Enjoy blogfest Morgan :) I plan to come next year when my health has picked up further!